This was NOT a great experience. Our ADT equipment while old did work for us. We were unaware that the new equipment was wi-fi and not cell driven. We spend three months in FL and take our wi-fi... This was NOT a great experience. Our ADT equipment while old did work for us. We were unaware that the new equipment was wi-fi and not cell driven. We spend three months in FL and take our wi-fi with us so that would leave our home unprotected. The ADT system worked but this one was not. I went with Ackerman because I was tired of ADT raising the price. It came as a huge surprise that Ackerman was going to charge me an additional $8 per month for the service. Allen Seymour did take care of that so I will be paying $28.95 per month but the two Honeywell key fobs do not work and our basement door alarms were not able to work. I now must buy new fobs and install a different type of security for the basement at I assume another charge. I really wish I had NOT changed security companies. No, I would not recommend Ackerman and your advertisement of being able to change and keep the prior equipment is mostly false. I paid the $99 instead of paying the charge for the new equipment and am locked into a three year contract. 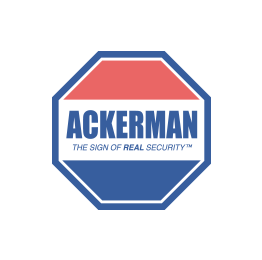 I paid Ackerman MORE than I would have paid ADT and now I will need additional equipment to make the system work as the ADT worked. Allen was nice but I am NOT happy with things the way they are. I thought I would be saving money and instead I am paying much more. Will Ackerman do anything about this? I have nothing to judge how you will handle this, but I will wait and see.